1. 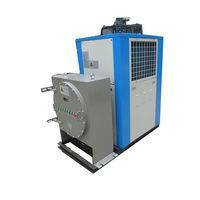 8 sizes available ranging from 380 kW to 1419 kW cooling capacity. 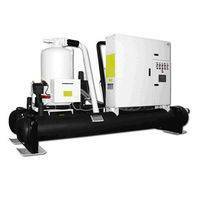 2.Semi-hermetic screw compressor for all models. 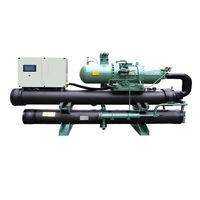 Each compressor is equipped with a crankcase heater and a thermal overload cut-out; the screw compressor is also complete with a built-in electronic protection with temperature sensor located directly in the motor winding and on the discharge line. 3.External rotor type axial fans, equipped with three phase direct drive motors, low noise 8 poles, protection level IP54, provided with a protective outlet grille. 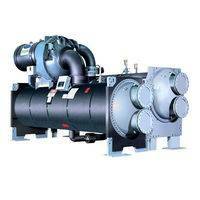 4.Evaporator built with high efficiency shell and tube type heat exchanger, factory insulated with flexible close cell material. 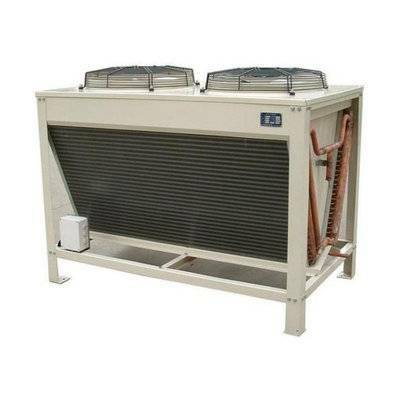 5.Condenser built with seamless copper tubes mechanically expanded into blue hydrophilic aluminum fins. 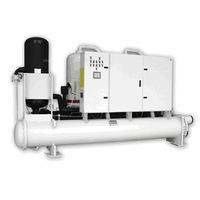 6.Refrigerant circuit complete with charge valves, filter drier, sight glass, gas-liquid separator, thermostatic expansion valve, high & low pressure switch. The heat pump unit is completed also with 4-way valve, liquid receiver and one way valve. 7.Hydraulic circuit built with galvanized pipe, complete with water discharge connection for shell and tube heat exchanger and flange type hydraulic connectors. 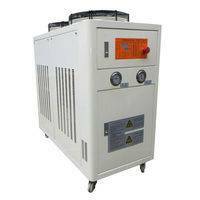 8.Electric panel consist of: compressor contactor, fan motor contactor, compressor isolating switch, fan protection breaker, phase sequence relay and microprocessor with function display. 9. Automatic operation dramatically reducing maintenance cost thanks to reliable microprocessor system. Chilled water inlet/outlet temp: 12℃/7℃; Outdoor temp (DB/WB):35℃/24℃.